Shanghai-based Hudong-Zhonghua Shipbuilding (Group) Co Ltd, a shipbuilding unit of China State Shipbuilding Corporation has joined hands with Norway-based internationally accredited registrar and classification society DNV-GL for construction of the carrier, company officials said during the 19th International Conference &Exhibition on Liquefied Natural Gas in Shanghai. Coinciding with China's growing demand for LNG is its industry prowess. The nation has been selected to host the 19th International Conference &Exhibition on Liquefied Natural Gas that started on Tuesday in Shanghai. It was also the first time in the event's 50-year history that it has been held in China. "This year the event takes place in a country that is critical for the global LNG trade, a consumer. A consumer that is known … as 'a market that has decisive importance' … and what I believe is becoming even more decisive and more important every day. 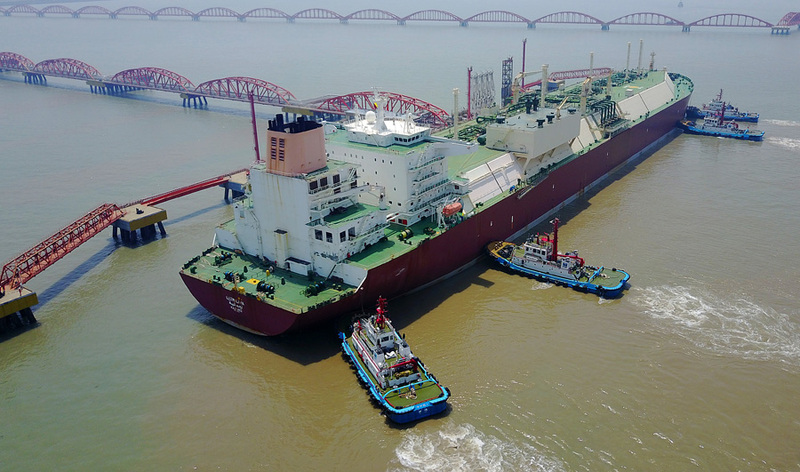 China after all is one of the fastest-growing LNG markets in the world and that should not surprise anyone familiar with the country's remarkable economic expansion," said Woods.